Digital Images by Jock Dempsey. When I was about 4 years old my Dad gave me a small set of "real" tools to play with. These included a set of bicycle wrenches from my Aunt Mary's long gone bicycle, an old dressing table as a work bench and this model vise. 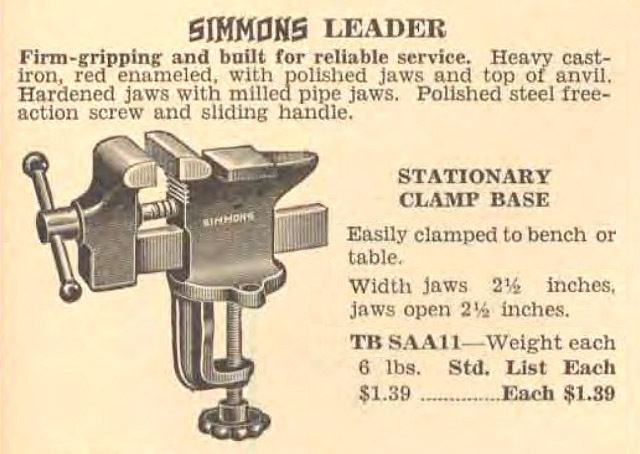 In 1955 it was already old so it probably came from a catalog similar to the the ad below. 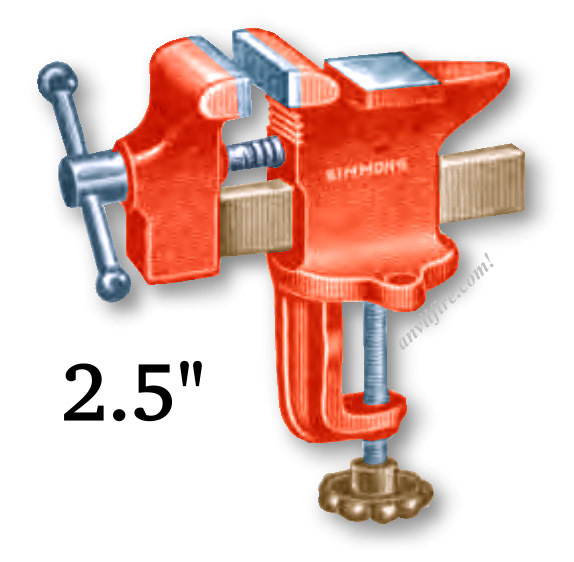 I kept that little vise on my personal work bench all through my teens and then pulled it out again when I studied Locksmithing in the 1970's. When my son was 4 years old I built small work benches for he and his sister with vises and supplied some tools as well. They still have the benches (they are handy to sit at) and Patrick still has my little vise. I still have the bicycle wrenchs my Dad gave me. I told you every tool has a story.